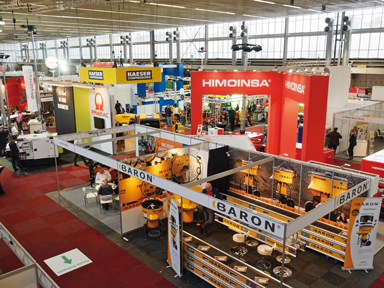 From June 9-11, 2020, IRE will again showcase an enormous breadth of rental equipment, from compact earthmoving and light compaction equipment to gensets, lighting towers and rental software systems. Visitors will also be free to move between IRE and APEX, which is the world’s largest dedicated access equipment show. The ERA convention will take place on June 10-11 and the European Rental Awards on the evening of June 10. The MECC Exhibition Centre in Maastricht is situated at the heart of Europe’s road and rail network, and free shuttle busses will run regularly between MECC and Brussels and Dusseldorf international airports. IRE is organized by BV Industrial Promotions International (I.P.I.) in association with International Rental News (IRN) magazine and KHL Group. “We are delighted that IRE will again follow the 4-events-in-1 format, held alongside APEX, the ERA convention and the European Rental Awards. That ensures IRE will attract the world’s leading rental companies, including the 350-400 delegates at the ERA convention, many of whom are from Europe’s largest rental businesses,” said Tony Kenter, managing director of I.P.I. “The shift to Maastricht will be good for the event. Maastricht is a great place for networking – it is a compact, beautiful city – and is well connected by road and rail. The free shuttle busses from Brussels and Dusseldorf airports will make it easy for international visitors,” said James King, managing director of KHL, publisher of IRN.